I’ve had very bad luck with computers and internet lately. In fact I’m totally burned out and in spite of being on the very edge, I’m still stubbornly trying to fix things. Now I’m fixing things the repair guys messed up. OK, I’ll spare you all the major whine brewing in my soul and tell you that we have finally captured the critter that has been eating the cabbages in the garden. And she sleeps in my bed every night. Yes, Gaely GoLightly is the prime suspect. 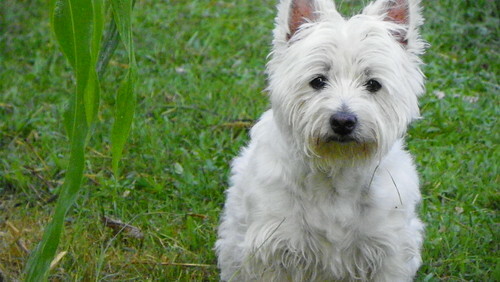 How could that sweet, innocent looking dog be our cabbage ravisher? Any why???? Who knows. not one cabbage has been chomped. I sure hope May is an easier month. I could use some smooth sailing! Posted in Dogs, Gardening. Bookmark the permalink. and EAT roots and mud I mean.! 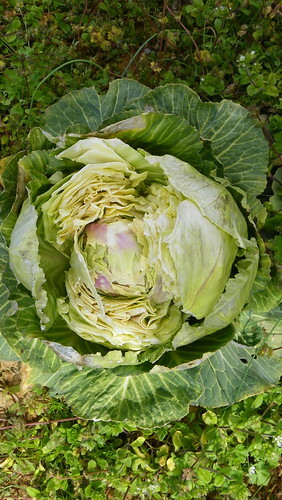 Wowsers … dogs eating grass or carrotts is one thing, but I have never heard of them eating cabbage! Maybe she wantws cole slaw? LOL! those must be some really tasty cabbages! Her chin hair does look a bit….. cabbage colored! In some ways that’s really funny. Not as far as you’re concerned but still funny! Does Gaely have some labrador retriever in her? The labs would eat anything. Hoover, OTOH, is the pickiest eater I know! My pugs love cabbage. I suspect they’d be right there with Gaely, munhcing away, given half a chance. My dogs love cabbage. 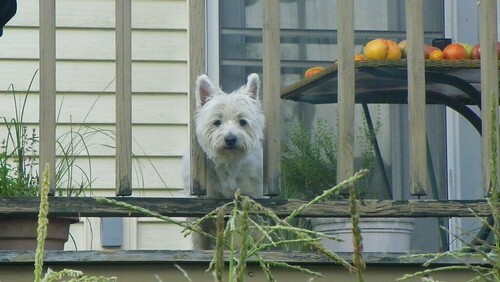 If I let Lily in the garden with me, she will try to sneak off and eat the cabbages or brussel sprouts or brocolli. I would not have thought to observe her had you not suggested this behavior in the first place! We even “tested” Gaely with a cabbage core during dinner prep and she gobbled it right down. So thanks, neefer! Lily says that broccoli bones are the bestest treats.